In 1888, the same year the Village of West Duluth was established, J. W. Phillips built a hotel — financed by Union Blast Furnace — and named it for himself. 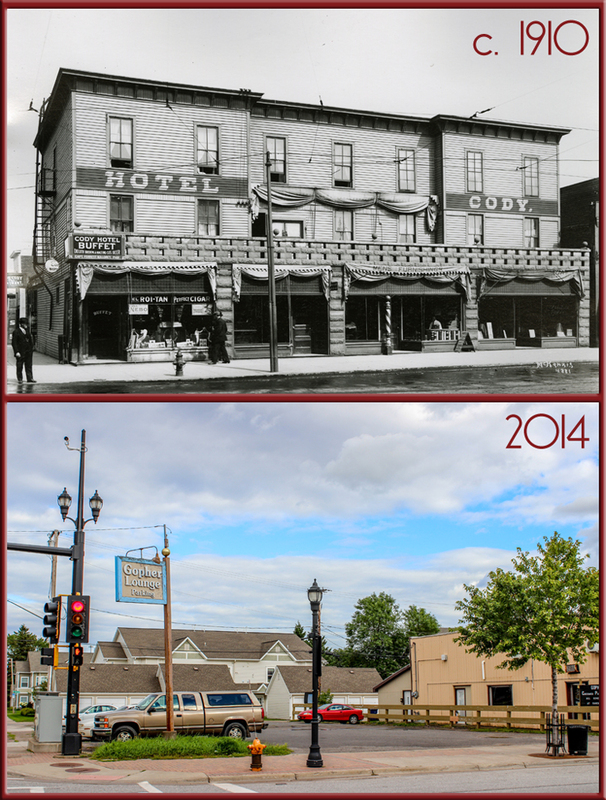 The three-story frame building featured a second-floor porch that stretched across the building along Central Avenue. 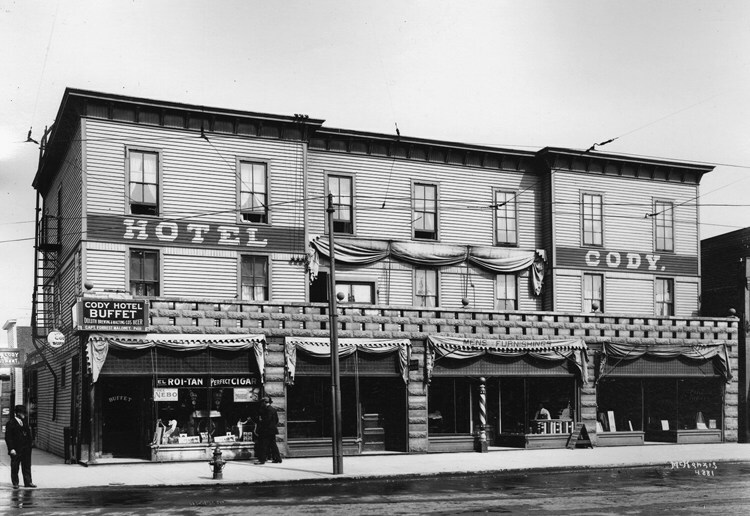 Guests were offered twenty-two rooms on the second and third floors while the first was reserved for retail businesses, including (over the years) the City Drug Store, the National Tea Company, the Cody Liquor Store, and the Pekin Chinese Restaurant. My brother had not yet seen the Zenith City. So in January of 1894 he arranged to make a short visit to Duluth. We issued invitations for a general reception, and the response was of the genuine Western kind — eighteen hundred guests assembling in the new Duluth Press Building to bid welcome and do honor to the world-famed Buffalo Bill. In 1973 the vacant structure was demolished to make room for a parking lot.